You are here: Home / Hashkafah & Jewish Thought / The Law of the King: individual commandment or national constitution? I’m slowly working through my notes from the recent Tanakh Study Days at Herzog College. This article is based on a lecture given by Rav Hezi Cohen, with a few of my own ideas thrown in. The Law of the King (Dvarim 17: 14-20) appears after a number of other laws regarding the institutions of peoplehood and statehood. It is set out in the pattern of casuistic laws, with the circumstances listed first, then the prohibitions and prescriptions. You may set a king over yourself, one chosen by the Eternal your God. Be sure to set as king over yourself one of your own people; you must not set a foreigner over you, one who is not your kinsman. Nor shall he amass silver and gold to excess. When he is seated on his royal throne, he shall write out this Teaching on a scroll before the levitical priests. Let it remain with him and let him read in it all the days of his life. So that he may learn to revere the Eternal his God, to observe faithfully every word of this Teaching as well as these laws, and will not act haughtily toward his fellows or deviate from the Instruction to the right or to the left. That he and his descendants may reign long in the midst of Israel. A law for individuals or for institutions? Significantly, this law begins with instructions to the people: “If you so desire, you may set a king over you, however he must be of your own people.” Only then does the law turn to the king and what he may and may not do. However, there seems to be a sense in which the people are also held responsible for insuring that the king follows the instructions. Rashi sees the instructions for the king as aimed at curbing the individual appetite for pleasure and riches, lest the king’s power go to his head. And he should not amass silver and gold, but only what he needs to pay his entourage (alternately, army). Rabbi Moshe ben Nachman (Ramban) sees these commandments as aimed at the king as an institution: they are national, rather than individual instructions, given for the good of the nation. He must not amass horses… It may be that this expression is meant to warn against the acquisition of horses even from his own land and from the land of Shina’ar or via legitimate commerce, so that he not come to rely on his chariots, however numerous, but rather, that he should put his trust in his God. Afterward, the king is warned not to bring the people back to Egypt, so that he will not install there his servants—his officers and merchants—in the major cities in order to purchase horses and chariots for him, as is told of Solomon in Malachim 1 9:19. The purchase of horses will bring Israel close to Egypt, and will bring the king to forge a covenant with the ruler of Egypt, which will lead the people to learn the ways of the Egyptians. It has already been stated regarding the forging of covenants, “because you were an alien in their country”. Regarding the prohibition that the king not rely on horses, this is because the land of Israel is a hilly place, where chariots are of no use. והנה מוצָא הסוסים יקרב ישראל אל המצרים, ויבא המלך לכרות ברית עם מלך מצרים, וילמדו העם ממעשיהם, ולא אמר בפירוש לא תכרות להם ברית בעבור כי גר היית בארצו, וגם אסר רבוי הסוסים, לבלתי יבטח בהם המלך, כי אמנם לא הרבה יועילו בא”י שהיא ארץ הרים. Shadal sees the instructions regarding horses and chariots (the tanks of those days) as being of a tactical nature: the land of Israel is too hilly for chariots to be of practical use. The ambiguous formulation of the Law of Kings leaves open the matter of whether the people of Israel should form a state or not. Different commentators have weighed in on whether appointing a King is a positive commandment or simply a conditional commandment—if you decide you want a king, then he may not become a law unto himself; he is to be constantly aware that his is only a regent for Israel’s true King. Without getting into this debate, it’s clear that the Law of Kings is meant to curb the king’s powers. In fact, if taken to its logical conclusion, it lays out a pattern for the type of state that Israel is allowed to form. Essentially, the Law of the King can be seen as an injunction against building a huge “military-industrial complex” aimed at conquest, which would then need to be financed by taxes (silver & gold), and would inexorably lead to foreign entanglements (many wives). If we follow the direction of the Ramban in seeing this law as a guideline for statecraft, the gist is clear: once the people of Israel decide to set up the apparatus of statehood, it should nevertheless remain a people apart, “not numbered among the nations”(BaMidbar 23:9). Further, Israel must not seek to build an empire. The government of Israel must not set itself up for conquest, but should keep only as much armed might as is necessary for defense. It should refrain from mixing in the affairs of other nations, and from making international commitments that would compromise its own national life. And lastly, the government should not enrich itself by taxing its people, but should be modest in its acquisitions. In all later writings of the Tanakh, each king is judged by how faithfully he followed the prohibitions and prescriptions set out in the Law of the King; it is the litmus test for kingship. King Solomon loved many foreign women in addition to Pharaoh’s daughter—Moabite, Ammonite, Edomite, Phoenician, and Hittite women, from the nations of which the Eternal had said to the Israelites, “None of you shall join them and none of them shall join you, lest they turn your heart away to follow their gods.” Such as these, Solomon clung to and loved. He had seven hundred royal wives and three hundred concubines; and his wives turned his heart away. In his old age, his wives turned away Solomon’s heart after other gods, and he was not as wholeheartedly devoted to the Eternal his God as his father David had been. Solomon followed Ashtoreth the goddess of the Phoenicians, and Milcom the abomination of the Ammonites. All the world came to pay homage to Solomon and to listen to the wisdom with which God had endowed him; and each one would bring his tribute—silver and gold objects, robes, weapons and spices, horses and mules—in the amount due each year. Solomon collected chariots and horses. He had 1,400 chariots and 12,000 horses, which he stationed in the chariot towns and with the king in Jerusalem. The king made silver as plentiful in Jerusalem as stones, and cedars as plentiful as sycamores in the Shephelah. Solomon’s horses were procured from Egypt and Kue. The king’s dealers would buy them from Kue at a fixed price. Clearly the juxtaposition of these two descriptions is no accident. Despite Solomon’s wisdom and his lineage, the outcome predicted by the Law of the King came to pass exactly as stated: his foreign wives brought with them their cultures and religions, which influenced Solomon to his detriment. The horses and chariots that he bought from Egypt came at the price of diplomatic entanglements. And the silver and gold that he amassed came at the expense of his own people. And indeed, just as the Law of the King rewards the king who scrupulously obeys its dictates with a long reign that will pass to the king’s descendants, the opposite befell Solomon: after his death, the nation unraveled and split along tribal lines, undoing all of his father David’s painstaking work in unifying the tribes. Throughout the later writings, the Law of the King echoes through the text. Malachim 2 has some good things to say of King Yoshiya, whose far-reaching reforms helped to undo some of the depredations of his predecessors. Josiah was eight years old when he became king, and he reigned in Jerusalem for thirty-one years. His mother’s name was Yedidah daughter of Adayah of Botzkath. He did what was pleasing to the Eternal and he followed all the ways of his ancestor David; he did not deviate to the right or to the left. Then the high priest Hilkiah said to the scribe Shaphan, “I have found a scroll of the Teaching in the House of the Eternal.” And Hilkiah gave the scroll to Shaphan, who read it. The scribe Shaphan then went to the king and reported to the king: “Your servants have melted down the silver that was deposited in the House, and they have delivered it to the overseers of the work who are in charge at the House of the Eternal.”The scribe Shaphan also told the king, “The high priest Hilkiah has given me a scroll”; and Shaphan read it to the king. When the king heard the words of the scroll of the Teaching, he rent his clothes. Upon hearing the contents of the scroll, Yoshiya rends his garments and sets out to put the kingdom in order according to the laws of the Torah. However, this is not enough to guarantee good leadership in the next generation. Yoshiya’s son Yehoyakim was one of the worst kings Yehuda ever had to contend with. Perhaps the lesson is that the Law of the King is a necessary, but not a sufficient condition for a smooth succession and a long-lived kingdom. Or perhaps human free will must still be taken into account; the best parenting can’t guarantee moral and upright children. And so, of Yehoyakim, the Tanakh (Yermiyahu 36:20) tells us that when presented with a scroll of the prophecies of Yermiyahu, it wasn’t his garments that the king tore, but the scroll! However, the Law of the King was not applied only to actual kings. With the death of Moshe, the Written Torah was sealed, and with it, the official role of the king in subsequent Jewish Law. 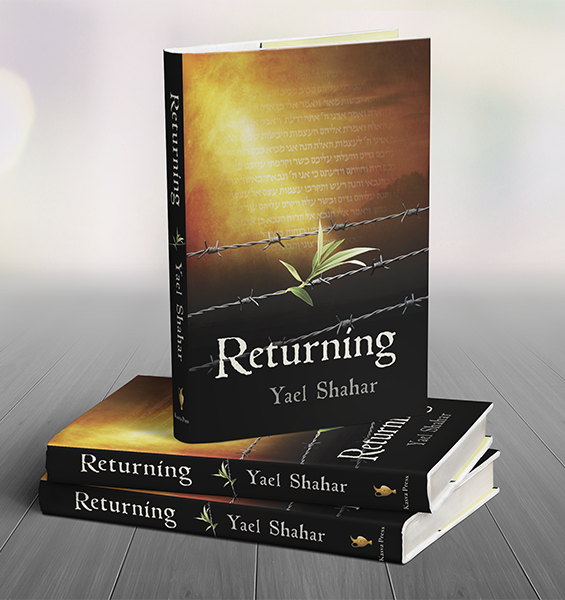 The basic law of Israel was now beyond the role of any earthly king to change. Be strong and resolute, for you shall apportion to this people the land that I swore to their fathers to assign to them. But you must be very strong and resolute to observe faithfully all the Teaching that My servant Moses enjoined upon you. Do not deviate from it to the right or to the left, that you may be successful wherever you go. Let not this Book of the Teaching cease from your lips, but recite it day and night, so that you may observe faithfully all that is written in it. Only then will you prosper in your undertakings and only then will you be successful. 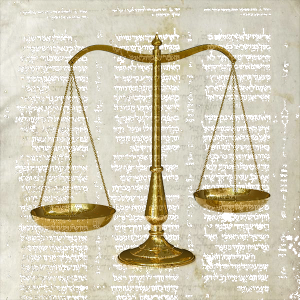 From a halakhic point of view, this application of the Law of the King to Yehoshua is significant: the Law of Kings applies to any leader of Israel, and not just to kings. Rav Kook (and others) used this application to stipulate that any legitimate government of Israel is equivalent to a king. Ha! Those who go down to Egypt for help And rely upon horses and put their trust in abundance of chariots, In vast numbers of riders, And they have not turned to the Holy One of Israel, They have not sought the Eternal. Here, it isn’t only the national leadership that is taken to task for trusting in chariots and relying on horses; the prophet is speaking to the general public. The Law of the King is now no longer in the domain of kings, or even of rulers; it applies to everyone! and he studies that teaching day and night. The prophet and the psalmist alike address the common man in the language of the Law of the King: Don’t trust in military power; rather be faithful to the Laws of your God, and study that Law day and night, in good times and in bad times. What brought about this shift? What has changed? 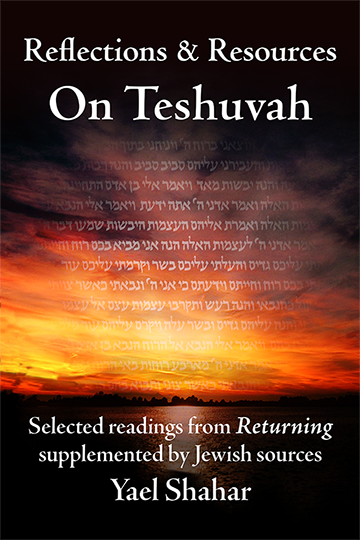 Rav Cohen credits Yehezkel Kaufman with the explanation: The period from King David to the time of Isaiah was a time of tremendous change in lifestyle in the kingdoms of Judea and Israel. In David’s time, the economy was agrarian, and the population small and widely dispersed. Trade with other nations was carried out on a personal basis, via family or individual connections. But with the formation of the nation-state, all this began to change: the economy was increasingly mercantile: goods were produced and traded with the surrounding regions, producing a burgeoning of personal and national wealth. Israelite culture was exported to the surrounding nations. But of course, the cultures of surrounding nations influenced Israel as well. Amid all these changes, the power of public opinion grew. The voice of the people became a force to be reckoned with. And so the prophets continued to speak truth to power, only the locus of power had shifted. O House of Jacob! Come, let us walk By the light of the Eternal. For you have forsaken [the ways of] your people, O House of Jacob! For they are full [of practices] from the East, And of soothsaying like the Philistines; They abound in customs of the aliens. Their land is full of silver and gold, There is no limit to their treasures; Their land is full of horses, There is no limit to their chariots. And their land is full of idols; They bow down to the work of their hands, To what their own fingers have wrought. Here it isn’t only the king who is judged for hoarding silver and gold, and for amassing horses and chariots. The nation as a whole is judged for taking on the practices of the surrounding nations. The consequence in the shift from an agricultural nation to a wealthy nation-state is that the responsibility of the individual is commensurately increased. The entire people can be castigated for the sins that kings are apt to fall prey to. Their wealth has gone to their heads, and the pleasures of the marketplace have made them forget that they are all responsible. They have failed to become a nation of priests and have instead become a nations of kings gone wrong. … biblical scholars have especially focused on the divine image as a royal title or description. Evidence of this royal status finds expression as early as the Middle-Asyyrian Tukulti-Ninurta epic, This text describes the king (ca. 1244-1208 B.C.E.) as the embodiment of the god Enlil. The Torah, in a break from other creation epics, appoints mankind as a whole as “kings”. All human beings are, in their own spheres of influence, royalty. They are kings with respect to those who depend on them for guidance or sustenance, and are expected to live up to their responsibilities. And what are those responsibilities? What are the desirable attributes and characteristics of royalty? The king should be blessed with “justice” and “righteousness”; “Let him,” prays the psalmist, “champion the lowly among the people, deliver the needy folk, and crush those who wrong them.” Let him behave in such a way that “the righteous may flourish in his time, and wellbeing abound.” The king, we learn, “saves the needy who cry out, the lowly who have no helper. He cares about the poor and the needy; he brings the needy deliverance” (Psalm 72:2, 4, 7, 12-13). Being created “in the image of God” means that we are all kings and queens—people with free will and responsibility for what happens within our sphere of influence. God’s justice runs through human rulers, and that means all of us! Thus, we come full circle to find that Rashi’s interpretation of the Law of the King comes into its own: each of us is enjoined to take to heart the commandment not to trust outside powers, not to hoard wealth, nor get overly involved in the affairs of others for the wrong reasons. Rather, we are enjoined to become just and righteous rulers over our own affairs, with the result that we bequeath what we’ve learned and acquired to our children after us. Kings are not born, but self-made! Covenants between nations were often sealed by marriage. It’s worth noting that Tselem Elohim, in so far as it applies to all human beings, is a statement of radical equality. Not only does it mean that all human beings are qualified to be kings, but it also means that kings are no better than anyone else.